Computation and sampling time requirements for real-time implementation of observers is studied. A common procedure for state estimation and observer design is to have a system model in continuous time that is converted to sampled time with Euler forward method and then the observer is designed and implemented in sampled time in the real time system. When considering state estimation in real time control systems for production there are often limited computational resources. This becomes especially apparent when designing observers for stiff systems since the discretized implementation requires small step lengths to ensure stability. 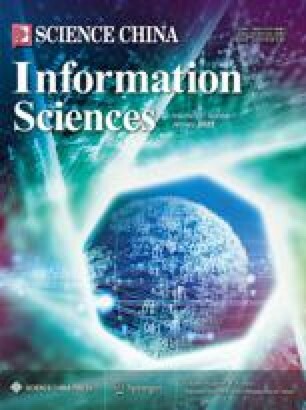 One way to reduce the computational burden, is to reduce the model stiffness by approximating the fast dynamics with instantaneous relations, transforming an ordinary differential equations (ODE) model into a differential algebraic equation (DAE) model. Performance and sampling frequency limitations for extended Kalman filter (EKF)’s based on both the original ODE model and the reduced DAE model are here analyzed and compared for an industrial system. Furthermore, the effect of using backward Euler instead of forward Euler when discretizing the continuous time model is also analyzed. The ideas are evaluated using measurement data from a diesel engine. The engine is equipped with throttle, exhaust gas recirculation (EGR), and variable geometry turbines (VGT) and the stiff model dynamics arise as a consequence of the throttle between two control volumes in the air intake system. The process of simplifying and modifying the stiff ODE model to a DAE model is also discussed. The analysis of the computational effort shows that even though the ODE, for each time-update, is less computationally demanding than the resulting DAE, an EKF based on the DAE model achieves better estimation performance than one based on the ODE with less computational effort. The main gain with the DAE based EKF is that it allows increased step lengths without degrading the estimation performance compared to the ODE based EKF. Open AccessThis article is distributed under the terms of the Creative Commons Attribution 4.0 International License (https://doi.org/creativecommons.org/licenses/by/4.0/), which permits use, duplication, adaptation, distribution and reproduction in any medium or format, as long as you give appropriate credit to the original author(s) and the source, provide a link to the Creative Commons license and indicate if changes were made.